It’s December, so you know what that means… It’s time to capture the magic of Christmas. Whether you want to go for the ‘White Christmas’ trend this year or the ‘Modern and Metallic’ trend, there’s a style and theme for everyone. Adding a reminder of Christmas to each room will be the perfect way to add a sprinkle of festive tradition. 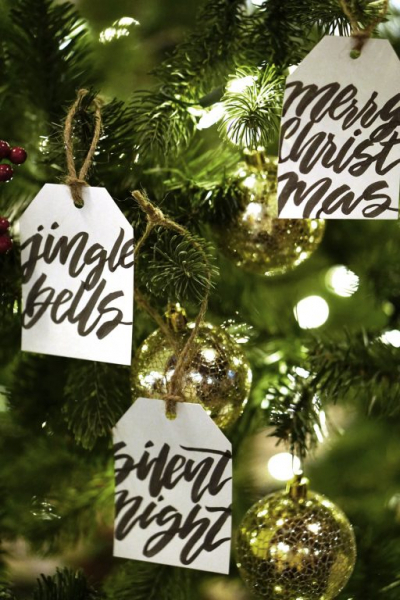 Get a whiff of the Christmas fragrances from The White Company HERE. The perfect lighting can really help to transform your home this season, and there are so many ways you and your home can shine! From battery operated tea lights, indoor/outdoor fairy lights to festoon lights - the possibilities are endless. We all love Christmas and New Year’s dinner don't we?! So why not set a scene to remember. Aside from a fine dining set with napkins, placemats and crackers, add some decorative ornaments, taper candles, votive candles and even name place cards - It’s the little touches that make a huge impact. Limited with space inside your home? How about hanging a gorgeous festive wreath to your front door. This cute addition will give your friends and family a warm Winter welcome, plus you’ll be a helping to brighten up and add something new to your neighbourhood. We all know that feeling after you’ve finished your Christmas shopping and attended all the Christmas parties. You just want to come home put on your favourite pyjamas and get cosy in front of the fireplace. Ahh pure bliss!